News Ever Had A Great Haircut And Hated It? 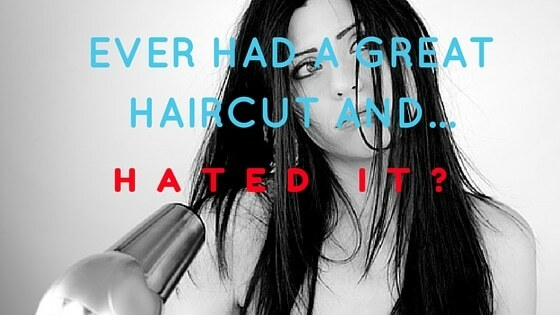 Ever Had A Great Haircut And Hated It? Odd thing getting a great haircut and hating it. That’s the logic. But sadly this is not always the case. How shall I put it…. Not very good! People arrived in salons with all sorts of terrible things done to their hair. All under the banner of a professional hairdresser. Fast forward to now and with better training standards and, to be frank, more fierce competition thankfully the standard is much better. Ooh, don’t ya love a happy ending? Not soo fast my friend. All is not what it seems. Though better standards are of course to be celebrated. There is still something that causes a rather unusual situation. Great haircuts or colours that customers hate! Consultation. Start Right Finish Happy. The reason for this is bad consultations. If they highly skilled hairdressers do not do or know how to do a professional and deep consultation. He or she can apply their skills beautifully just in the wrong place!! A wonderful bob- That’s too short. A long hairstyle that’s too layered. These situations are not caused by a lack of technical ability. To truly listen and empathize with the customer. To put aside the hairdressers agenda and really listen to …. So here at Impressions we applaud great hairdressing everywhere… However, we employ a deep and thorough consultation before we put scissors to hair.